The Management, Staff and Students of Bojjam Narasimhulu Pharmacy College for Women congratulate Ms P Kavya, B Pharmacy, Roll Number 08Z31R0012 (2008-12 batch) for winning Gold Medal for the best outgoing student secured highest pass percentage among all affiliated and constituent Pharmacy colleges of Jawaharlal Nehru Technological University Hyderabad (JNTUH). 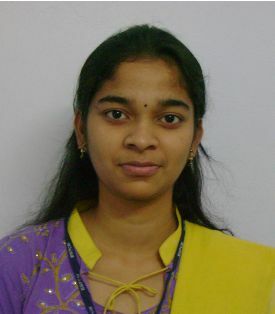 She has received Gold Medal in the IV Convocation of JNTUH. The Management, Staff and Students of Bojjam Narasimhulu Pharmacy College for Women congratulate Ms Karuna More, B Pharmacy, Roll Number 10Z31R0007 (2010-14 batch) for receiving prestigious IDMA J.B Mody Best Student Excellence Award on 53rd Annual Day Celebrations held on 10th January 2015 at Hotel Trident, Mumbai. 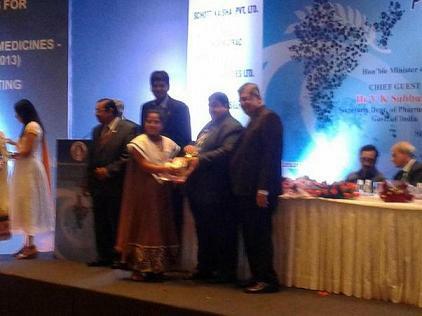 She was felicitated with a trophy along with a cash award by Dr.V.K.Subbu Raj, Secretary Department of Pharmaceutics, Govt. of India. The Management, Staff and Students of Bojjam Narasimhulu Pharmacy College for Women congratulate Ms V Bhavana, B Pharmacy, Roll Number 12Z31R0023 (2012-16 batch) for winning Gold Medal for the best outgoing student secured highest pass percentage among all affiliated and constituent Pharmacy colleges of Jawaharlal Nehru Technological University Hyderabad (JNTUH). She has received Gold Medal in the VI Convocation-2017 of JNTUH. The Management, Staff and Students of Bojjam Narasimhulu Pharmacy College for Women congratulate Ms B Priyanka, B Pharmacy, Roll Number 13Z31R0052 (2013-17 batch) for winning Gold Medal for the best outgoing student secured highest pass percentage among all affiliated and constituent Pharmacy colleges of Jawaharlal Nehru Technological University Hyderabad (JNTUH). She has received Gold Medal in the VII Convocation-2018 of JNTUH.